Volleyball may not be the sport most people think of first when they hear the phrase “sports betting” but it is actually a fairly popular sport for betting. Teams from around the world compete in highly competitive volleyball matches and betting on those matches has become big business in some parts of the world. If you would like to test your luck, we have a simple list of the best volleyball betting websites right here. Competitions such as the FIVB World League, FIVB World Championship, FIVB World Cup, FIVB Grand Prix and the Olympic Games are all huge volleyball betting events. In more recent years, beach volleyball tournaments have also grown in popularity among sports bettors. Some of the most popular betting events in beach volleyball are the AVP Championships and Swatch FIVB World Championships. The top volleyball betting websites are chosen by looking at a variety of criteria and then giving them ratings in each category. The betting sites that get the best all-around score are given the highest rankings on this page. The goal of using this method is to give volleyball fans a simple list of the best volleyball betting sites. The one factor that we look at above all others is the safety/security of each betting website. Although other categories are important to consider, we value the safety and security above all else. The reason is simple: if you are going to place real money bets on volleyball matches, you have to have reasonable faith that your betting site will treat your bets fairly and pay your winnings promptly. The next most important thing we look for in the top volleyball betting websites is a variety of betting options. Like we mentioned earlier, volleyball isn’t exactly the biggest sport in the world. Many betting websites don’t even offer volleyball betting, or if they do, their selection of bets is highly limited. We found that the largest betting websites tend to be the best when it comes to options. The two above factors account for most of the weight in our rating decision. Other criteria that we considered include deposit options, customer support, withdrawal times, rewards programs and signup bonuses. When taken together, all of the above factors paint a clear picture of which betting sites can truly be considered the best volleyball betting websites. Real money betting on volleyball is the only type of betting that really gets our blood flowing. If you want to place real money wagers on volleyball, the only thing you need to do is visit any of the betting sites on this page and look for the big “join now” button. From there, you will be given step-by-step instructions for making an account and making your first deposit. Betting websites accept many different deposit methods, so you’ll never have problems getting your account funded. Everything from credit cards to bank wires can be used to get your money online. Other deposit methods such as cash transfers, e-wallets and prepaid gift cards can be used as well. Once you have your account funded, you can place wagers on volleyball any time you want. You’ll also have access to the rest of the betting site for other gambling options. The largest betting websites cover every major sport, provide casino games and even real money poker. 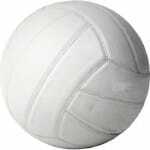 Indoor volleyball is considered by many to be the most serious form of volleyball. International competitions hosted by the FIVB are taken very seriously and hand out significant amounts of reward money. In these competitions, the best volleyball teams in the world compete against one another on the international level. Since the 1990s, Italy, Brazil, Russia and Cuba have dominated the indoor volleyball scene. The United States took the championship in 2008, though, so all of you US bettors out there still have someone to root for. Other strong indoor volleyball teams include the Netherlands, Serbia and France. No matter where you live or who you support, you’ll find many options at the top volleyball betting sites. Beach volleyball has always been a popular sport in beach communities and occupies a role in the summer Olympics. Overall, though, beach volleyball has never been quite as organized as indoor volleyball. Perhaps the laid back beach culture has something to do with this. But whatever the case, beach volleyball betting is still possible at certain large betting sites. The FIVB and AVP are the two largest organizations for beach volleyball competitions. The AVP has been through rough times over the years, so their status is always a little shaky. But the good news is that you can always see what’s open to bet on by visiting any of the recommended betting websites and checking the “volleyball” section. Volleyball betting consists of a pretty standard variety of bets. The most popular bets for volleyball are regular match bets, futures bets and various in-play bets. The following explanations will give you a pretty good idea of how the different types of volleyball bets work. Match bets, also known as moneyline bets, are wagers on which team will win the match. Each volleyball team is listed with its accompanying payout odds. The payouts are determined by the sportsbook based on the perceived skill of each volleyball team. The teams that have the best chances of winning are given lower payouts, while the teams that are considered underdogs have the highest payouts. Futures bets in volleyball are bets on which team or country will win a future tournament. For example, you might be able to visit your betting site and place wagers on which team will win the FIVB World Championship this year. Each team is listed by the sportsbook along with the payouts that will be awarded to all wining bets on that team. In-play betting for volleyball is a type of betting in which you can place wagers during live volleyball matches. The sportsbook sets up a page dedicated to certain volleyball matches and then you can log in and place bets in real time. In-play betting can be hard to find for volleyball, but we do see it occasionally at large betting websites.